The 7-Year B*tch, named as an Outstanding New Musical in the 2007 Talkin’ Broadway’s Summer Theatre Festival Citations, is a wickedly funny and bitterly heartfelt concert featuring the songs of Dan Acquisto and Sammy Buck, everyone’s favorite second choice for Broadway, off-Broadway, film and TV jobs. 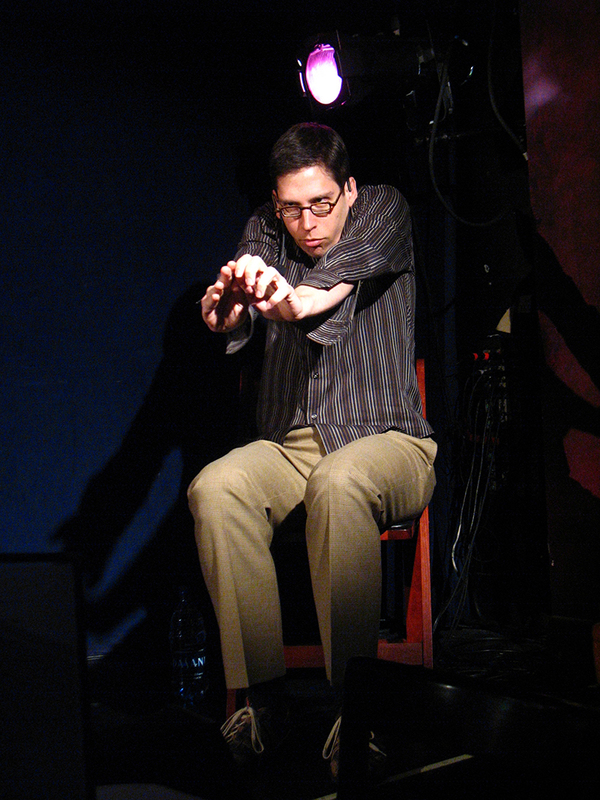 Sammy and Dan give you their tell-all and show you what it’s like to persevere, while five very talented performers sing songs about misadventures in love and work, and never winning a certain performing arts foundation grant each year. David Perlman and Amy Rutberg in The 7-Year B*tch. 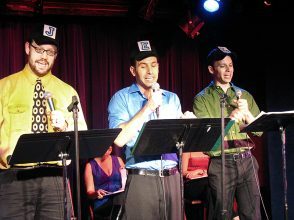 Brian Cimmet, David Perlman and James Donegan sing “We JEL,” about government checks and balances, in The 7-Year B*tch. 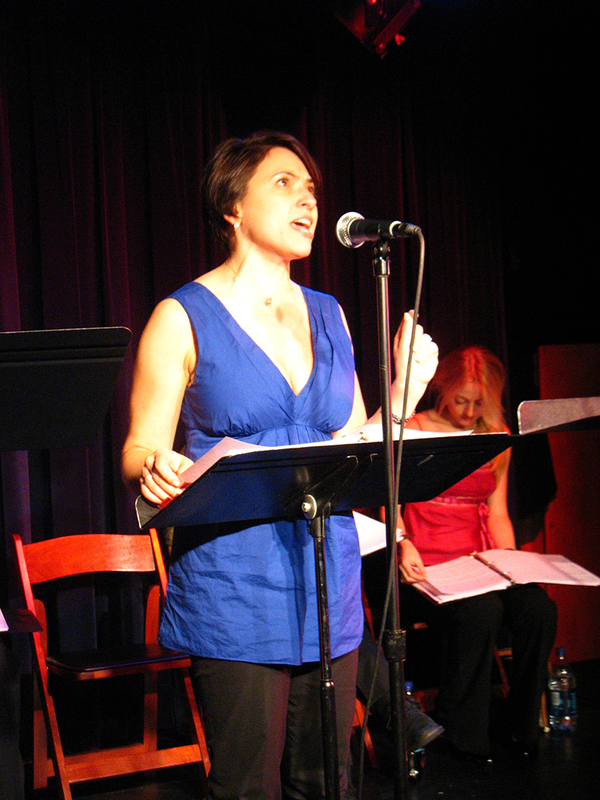 Joanna Young in The 7-Year B*tch. Sammy Buck in The 7-Year B*tch. 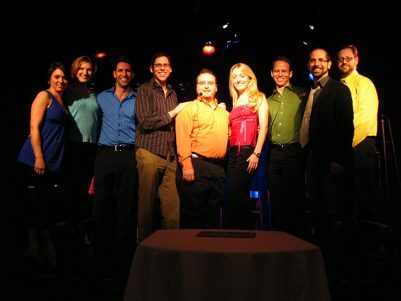 The cast and crew of The 7-Year B*tch: Becca Ayers, Joanna Young, David Perlman, Sammy Buck, Dan Acquisto, Amy Rutberg, James Donegan, Carlos Armesto and Brian Cimmet.